By far the biggest surprise was how close is the original instruction set of the RISC-I to the base instruction set of RISC-V (RV32I). The figure below compares the two instruction sets. In fact, RISC-I is may be the closest instruction set to RISC-V of any era; it is certainly much closer than the original Stanford MIPS and IBM 801 instruction sets. Below is the complete ISA for both architectures, aligned by operation. 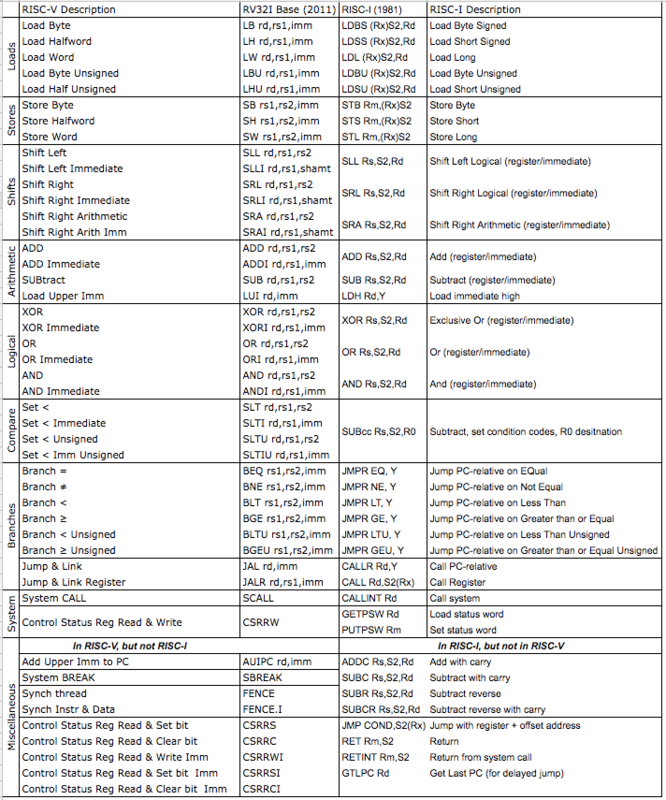 Equivalent RISC-V and RISC-I instructions. For RISC-I, “S2” can be either a 13-bit sign-extended immediate or a second source register.